Local authorities are working on a range of initiatives to remove vehicles from city centres as they look to improve air quality, remove congestion and make the roads safer for vulnerable users. With road speeds in urban areas reducing by almost 5% over the past four years to an average of less than 20mph, cities must address the key challenges by improving accessibility and tackling the issue of overcrowded public transport, according to Cathy Miller, deputy director north and devolution division at the Department for Transport (DfT), and the person responsible for the Transforming Cities Fund (TCF). The fund, which has £1.7 billion to invest over four years in improving travel infrastructure, particularly for commuters, has already started to be allocated to the six mayoral city councils. Miller, speaking at the Westminster Transport Forum on developing the UK’s transport networks, believes the cities have “an opportunity to be test beds for innovation” with their young populations, driving economic growth, changes in travel behaviour and the future of mobility. The future, she added, was where “people drive cars less and where people are less likely to take up a driver licence”. The mayors have decision-making powers over local roads, bus franchises and place-specific deals, such as Merseyrail in Liverpool or trams in the West Midlands. “They are having a huge impact – it matters what they are saying,” Miller said. Half the TCF is provided without ring fencing to local authorities in cities with populations above 200,000 with the aim of boosting productivity and reducing congestion. “We are trying to do something different with the TCF; we are trying to instigate innovation,” Miller said. The TCF needs to deliver in three areas, according to Helen Wylde (below), chief engagement office at Transport Systems Catapult. It needs a data platform to ensure journeys are interconnected which will led to multi-modal travel. It needs to bring together connected and autonomous travel (CAT), as opposed to connected and autonomous vehicles (CAV), following the examples of “forward-thinking councils” such as Oxford and Milton Keynes. And, it must exploit new mobility services, such as ticketing platforms like Oyster in London. She told Fleet News: “I’ll paint a picture where in 30-40 years’ time no one owns a car. We are on dial-a-ride where you use an app to call a car and it turns up to take you where you need to go. "This changes the use of car parks, it reduces congestion and increases the utilisation of cars which today spend 95% of their time parked up. 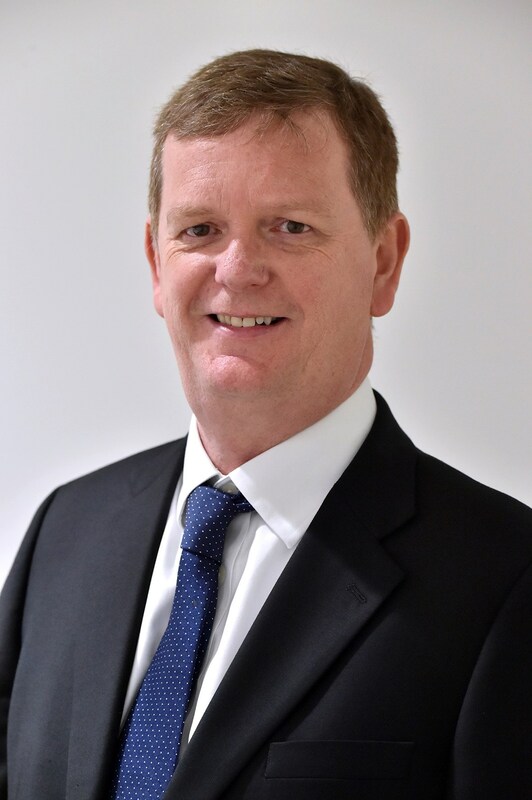 Jon Lamonte, chief executive, Transport for Greater Manchester (TGM), predicts an increase in daily journeys of 600,000 by 2035 due to the creation of jobs and housing in the region, adding to the existing 5.8 million. The authority, which has ruled out introducing a clean air zone to reduce traffic levels, has a long-term vision that incorporates more cycling and walking, adding to the growth in Metrolink trams and guided bus lanes. TGM is working with Salford University on autonomous transport solutions and is trailing ride-sharing with Manchester Metropolitan University as part of a project called City Verve (see panel). The big challenge faced by Oxfordshire County Council (OCC) is last-mile transportation. Oxford, which has already outlined plans to begin banning petrol and diesel vehicles from the city centre starting in 2020, faces population growth and vehicle growth from both businesses and tourists which requires new forms of transport, such as bikes, electric vehicles, rail links and park-and-ride schemes. By 2031, it will have an app comparing different journey options on time and cost and by 2050, it will be using autonomous vehicles to ferry people to and from transport and amenity hubs. Llewelyn Morgan, OCC service manager for infrastructure, innovation and development, said the council was also looking at narrow bore tunnels under the city, dubbed ‘micro-metro’, in a joint working arrangement with Cambridge and Milton Keynes councils. He added: “Zero emission zones will put a lot of pressure on delivery companies and small businesses. "We’re looking at providing a licencing system during different hours, which will allow the small businesses to get in and out of the zero emission zone, and now we’re talking to fleet companies as well. “We’ve also got a European Investment Bank-funded project, which is looking at bulk buying electric vehicles and passing the savings onto fleet operators. OCC has been working with Oxford Bus Company to solve the issue of commuting from the busy residential areas to the east of the city. It has launched the PickMeUp service, an app-based on-demand ride-sharing minibus service that collects from a virtual bus stop on any street within the travel zone within 10 minutes of the booking. The council has committed to allow concessionary fares on the service, which costs £2.50 per journey. Greg McClymont, cities and urban transport lead at the National Infrastructure Commission, believes city infrastructure needs additional investment of £43bn by 2040. He also believes Government needs to prioritise the cities requiring the greatest support based on growth forecasts and congestion levels, pointing to Manchester, Bristol, Birmingham, Leeds and Brighton as the likely candidates. Through the use of technology, including location-based services and mobile apps, bus stops will deliver location-relevant content. People will be able to ‘check-in’ to their bus stop and to let bus operators know they are waiting for their service, leading to a more responsive service. Using mapping data down to street furniture level, this wayfinding service will integrate transportation and visitor services to allow users to make informed choices about the way they travel. City Concierge will bring together all transport modes. Through telematics, Transport for Greater Manchester is working to implement deployments which can improve the road safety of drivers of all ages, as well as cyclists and community transport. Through connected sensors, it also hopes to improve the performance and efficiency of emergency services fleets across Manchester. Real-time data collated via the tram network will measure occupancy and provide information to citizens and tourists, as well as ensure the tram network can be a demand-responsive operation. Cameras will be linked up to the Internet of Things (IoT) to gain a better understanding of the type of vehicles moving around the city and how congestion points can be addressed. Different modes of transport are being analysed to assess whether the city is successful in moving people from private to public transport and bicycles. Drivers will be notified of parking spaces which are close to public transport such as buses and trains, to help reduce congestion by encouraging them to continue their journey on such modes of transport. This project will also look to implement a booking system for specific-use parking spaces, for example allowing EV recharging spaces to be monitored so drivers can check availability and book spaces. It’s an exceptional period of change for our industry and, for some fleets, this brings uncertainty. That’s where we have a responsibility to provide robust, expert, timely guidance to fleet decisionmakers so they can make good choices. Changing market conditions, tax implications and advances in technology bring a new level of complexity. It can seem difficult to select the right vehicles and a bad choice could be costly. That’s why we’ve revised the way we calculate wholelife costs, started testing hydrogen vehicles and launched a suite of new mobility alternatives like vehicle sharing and our electric vehicle package. We’ve also introduced the Arval SMaRT methodology. It uses five simple steps to help our customers look at their fleet differently, and supports them in transitioning to new, more sustainable energies. These are just some of the things we’re doing to support fleets, and whether you’re an Arval customer or not, it’s a great time to be assessing the new vehicle and mobility options at your disposal. In many cases doing nothing simply isn’t an option, and with the right information, it’s never been a more exciting time to be evolving your fleet.